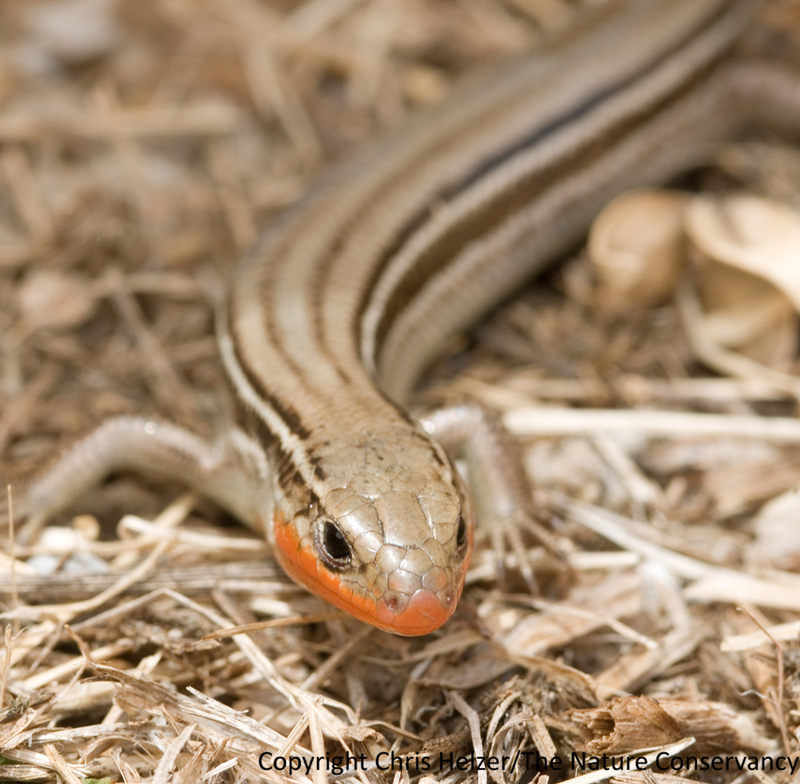 A prairie skink. The Nature Conservancy’s Platte River Prairies, Nebraska. This entry was posted in General, Prairie Animals, Prairie Natural History, Prairie Photography and tagged breeding color, grassland, jaw, lizard, nebraska, orange, platte river, prairie skink, stripes, the nature conservancy by Chris Helzer. Bookmark the permalink. So you’re telling us the guys wear the lipstick in the skink world. Cute little fella isn’t he. I never want to be a snake handler, but I’m fascinated by them. Thanks for the up close introduction to your skink friend. He’s so cute! I remember trying to catch them growing up near Ravenna NE. poor things drop their tails at the drop of a hat. Ya know…. I don’t think I ever did catch one.